Cambodia is an interesting country in Southeast Asia to visit with loads of beautiful places to visit, especially for visitors who want to enjoy the natural beauty and history. Somehow, when you visit Cambodia, you also need to consider some scams that may happen to you when visiting Cambodia. What are the most commons scams that usually occur in Cambodia? 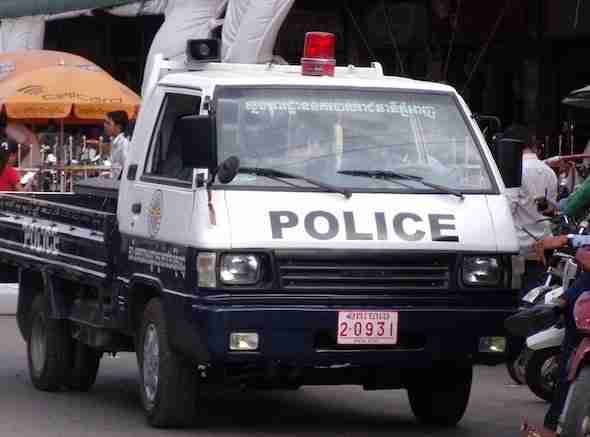 You may experience this scam in Cambodia where someone will act like a real police offer but he is actually a fake one. This scammer will find tourists and then he will stop you while you may not know if he is a fake police officer. He will ask for your documents like a visa and passport, then you will be asked to pay some cash due to the unknown problem. Somehow, this scam is quite rare. The scammer only searchers for a man, Then this man will meet a local lady and make friends for a few days. The man will be given a chance to stay with the woman in a hotel. After that, some guys will meet the man as the woman’s brother. Eventually, these guys will accuse the man of rapping the lady. The man will be surprised because the woman is crying. At last, the scammer will ask the man for damage money and then he is asked to leave the country as soon as possible. When you come to Cambodia and prefer to rent a motorbike, you have to be careful because you will find so many corrupt traffic police officers along the street. When you pass these police officers, they will stop you and you will be accused to disobeying the law. Finally, you have to pay fine for some make up problem. The corrupt traffic police are usually found at Golden Lion Roundabout in Sihanoukville. This is still related to a taxi but the taxi has no meter. Actually, the taxi meter still works but the driver tells you that it is broken. The driver also tells you that non-metered taxi is cheaper. But, it is actually a lie because the driver wants to trick you. In fact, you will pay more for the taxi fare while you actually do not go too far. 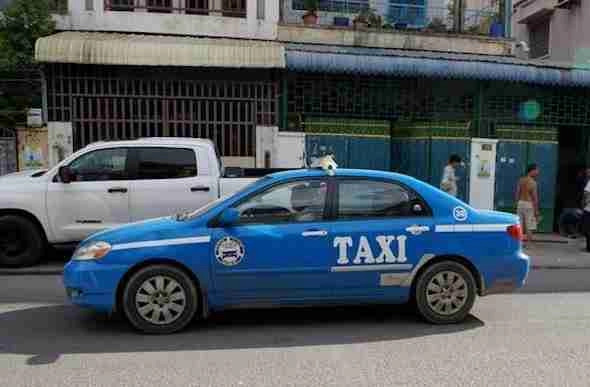 You also need to be careful when you go by taxi during your visit in Cambodia. You will be taken through non-direct route so the journey will be long. Certainly, the taxi fare will be more expensive than you expect. In fact, the driver actually knows the shortcut or the faster route. Therefore, you need to read a map before you go by taxi and act as if you have been in Cambodia for years. 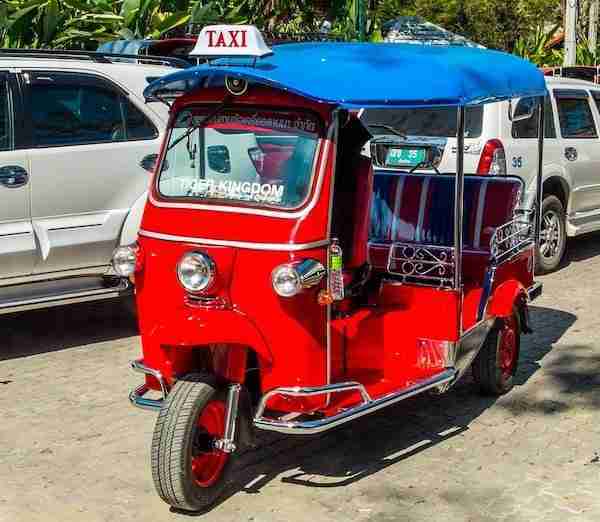 You can go by Tuk Tuk to visit some of the attractions in Cambodia. But, you will find that the driver will be missing in the area. Suddenly, another tuk-tuk driver comes who is actually working with the first driver offer you a ride to take you to your hotel. Meanwhile, your first tuk-tuk driver comes to your hotel and claim that you have tricked him. Finally, you need to pay for a compensation that is higher than the fare itself. If you want to ride a motorcycle in Cambodia, you can actually rent a motorbike, but you have to be careful because there are so many motorcycle thefts. This usually occurs in many tourist spots that offer motorbike rental for visitors. You need to leave your passport or ID card to rent the motorcycle, but the owner has the key copy of the motorbike and somebody will follow while you ride the motorbike. Suddenly, when you park the motorbike, the guy following you who actually works with the motorbike owner will steal the motorbike. To get you passport or ID back, you will have to pay and it is very expensive. 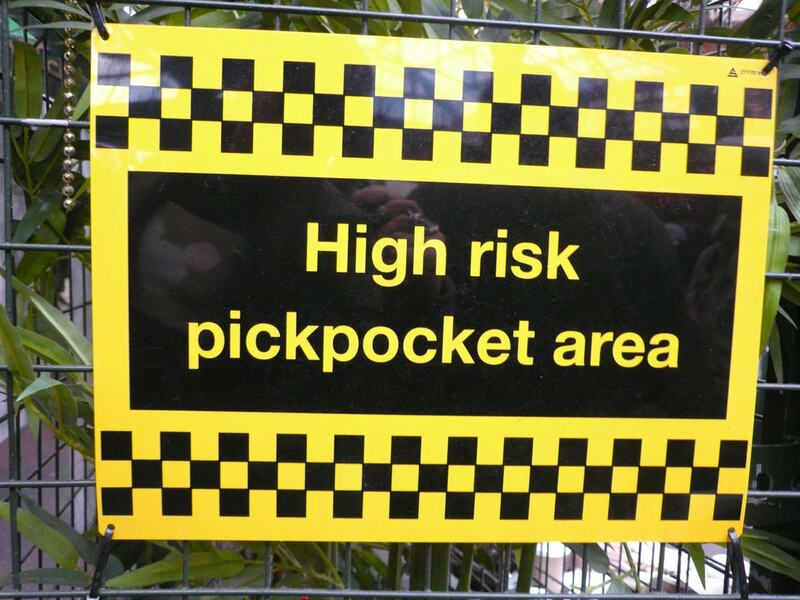 Pickpocket actually does not only occur in Cambodia but you can also find it in many other countries. So, you must be careful and always keep your items safe when visiting Cambodia. The pickpocket usually occurs in a crowded area such as in Siem Reap and Phnom Penh. As usual, they work in groups and they will spread in the crowded areas. They will suddenly steal your valuable items such as smartphones, necklace and wallets. This scam usually occurs in most Asian countries such asMalaysia, Indonesia, Vietnam and Cambodia. How does this scam work? A lady with a kid or a baby will come to you while you are eating in a restaurant. She will ask for your money or foods because they have not eaten yet for a few days. Since she has a baby, you will feel sad and you will give her some money or foods. Incense or Prayer scam usually happens in Angkor wat. 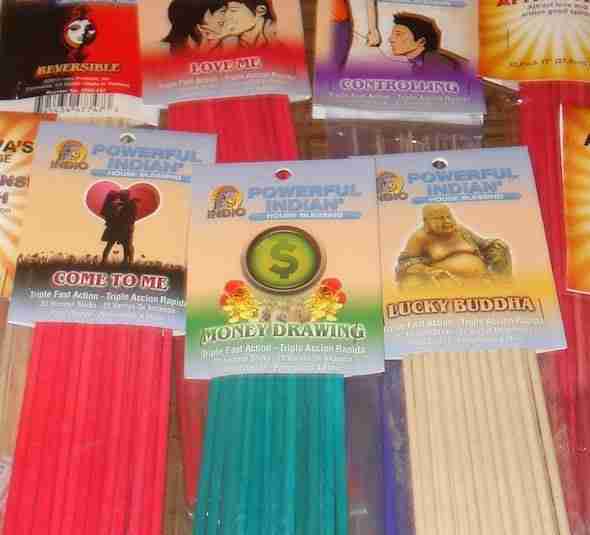 There are some people who act like monks where they will offer you some incense sticks. Somehow, if you accept the sticks, you will be charged as much as $5 for each stick. So, you must not accept this because this is actually a scam. These touts can be found easily in the area of Angkor Wat. These touts are selling some items such as souvenirs, waters, maps, guidebooks and much more. Somehow, these items are very expensive while you can get them cheaper when you get inside the temple. Some of the touts also sell foods and drinks at really high prices and tell you that you cannot buy food and drinks inside the temple. 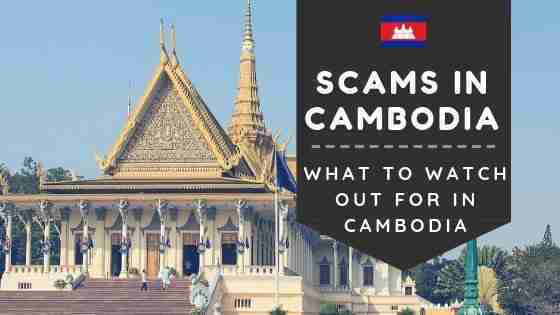 Finally, those are a few scams in Cambodia that you may experience when you visit the country. These scams only happen to local tourist and foreign tourists. So, you must be careful and call the police just in case you come across scammers. And that’s it for now! 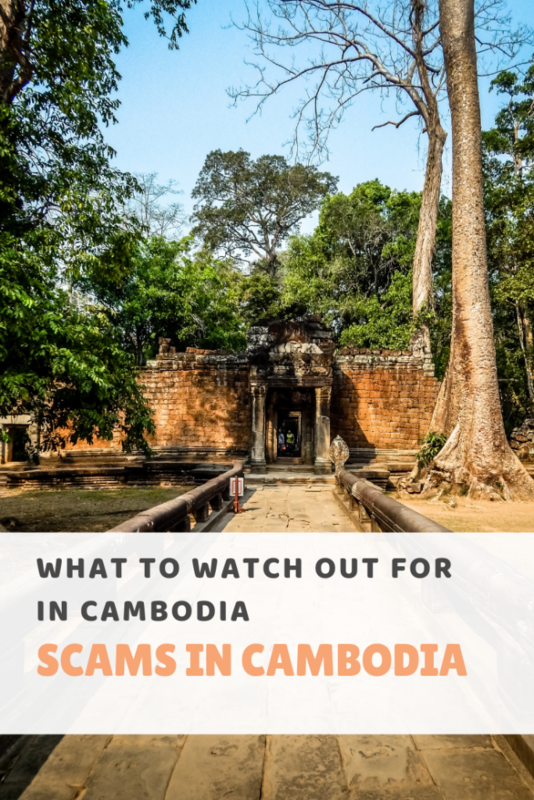 I’d love if this post on what to watch out for in Cambodia: Scams in Cambodia was helpful to you. Let me know if you have any questions and let me know if you go.